If traveling is one of your New Year’s resolutions this year, you should consider investing in high-quality luggage. 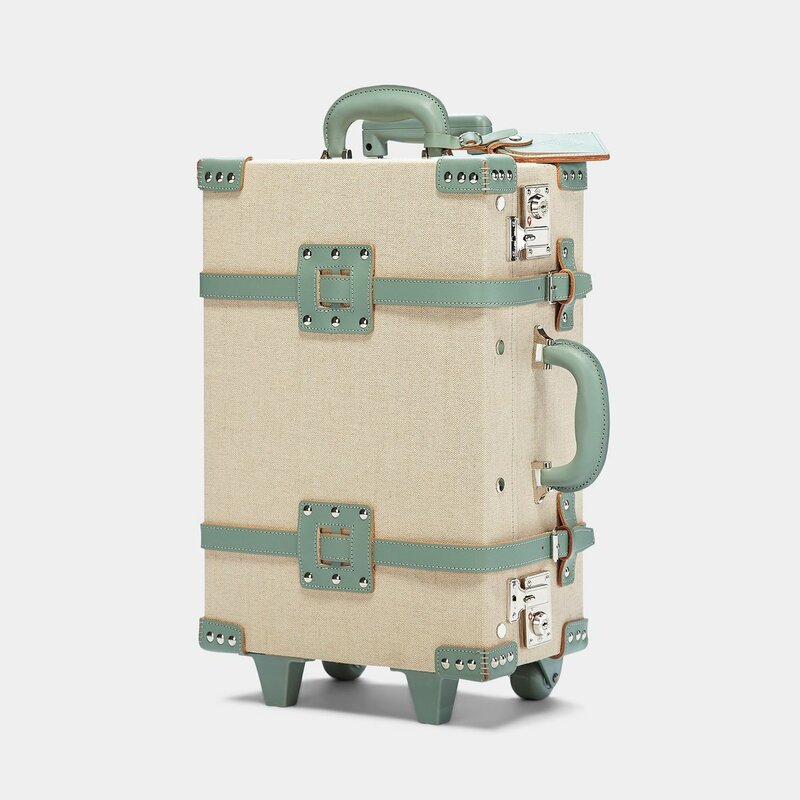 But who says suitcases have to be clunky and boring? From cool retro designs to sleek modern ones, here are the most stylish suitcases on the market. 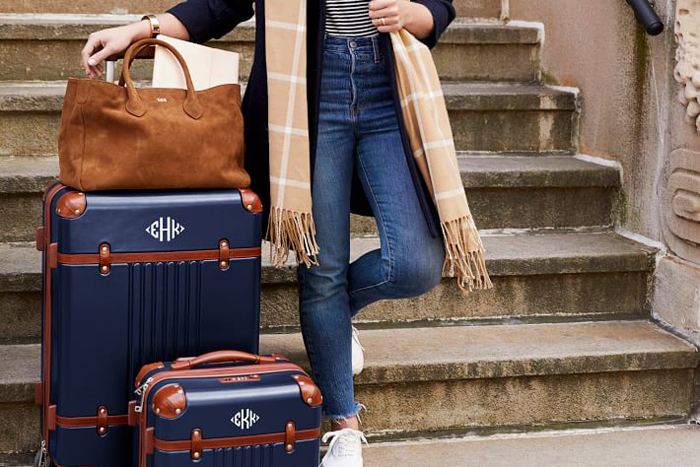 CALPAK sure knows how to make some of the chicest luggage out there. 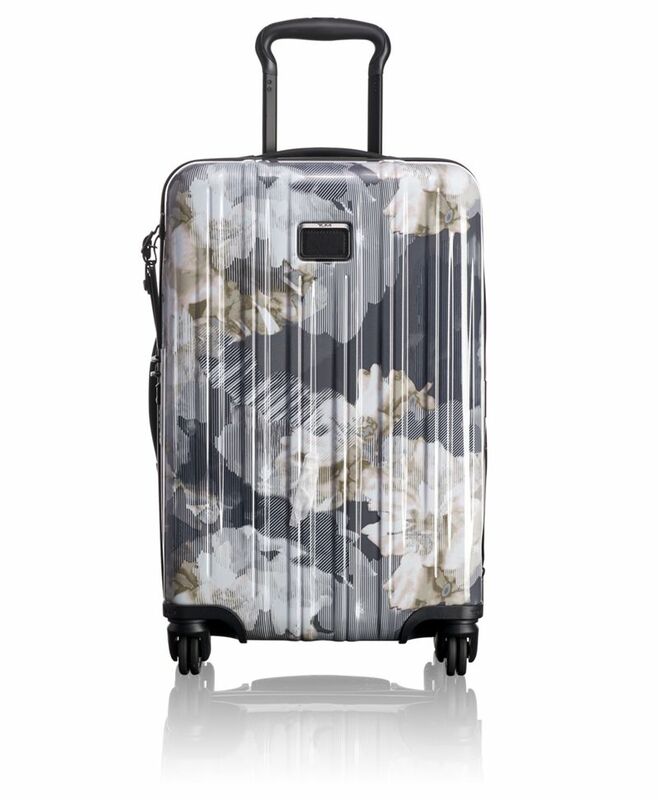 The three-piece set includes an under-seat bag, checked luggage, and a carry-on suitcase, perfect for any fashion-forward lady on-the-go. If vintage-inspired luggage is your cup of tea, then Mark & Graham is your best bet. 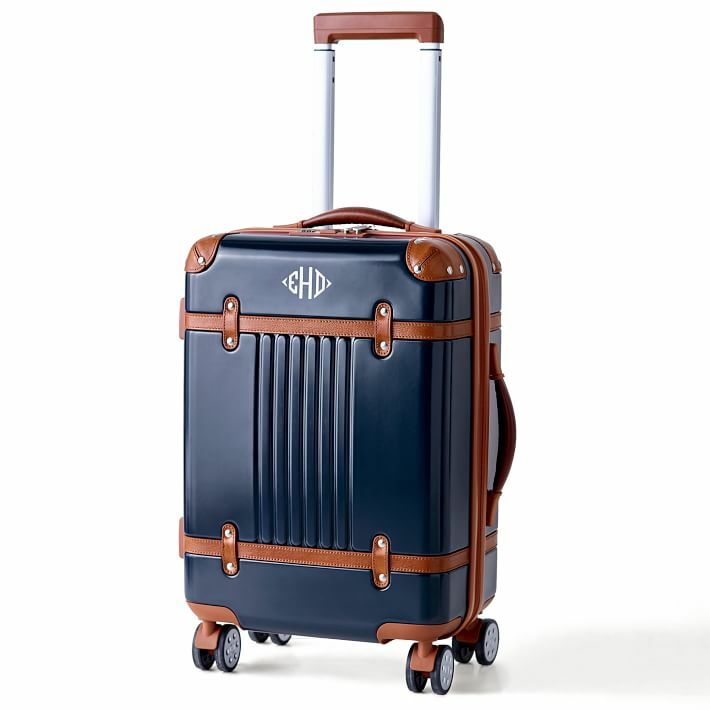 This four-wheeled spinner suitcase comes with leather detailing and a personalized monogram — available in navy, olive, black, or cream. 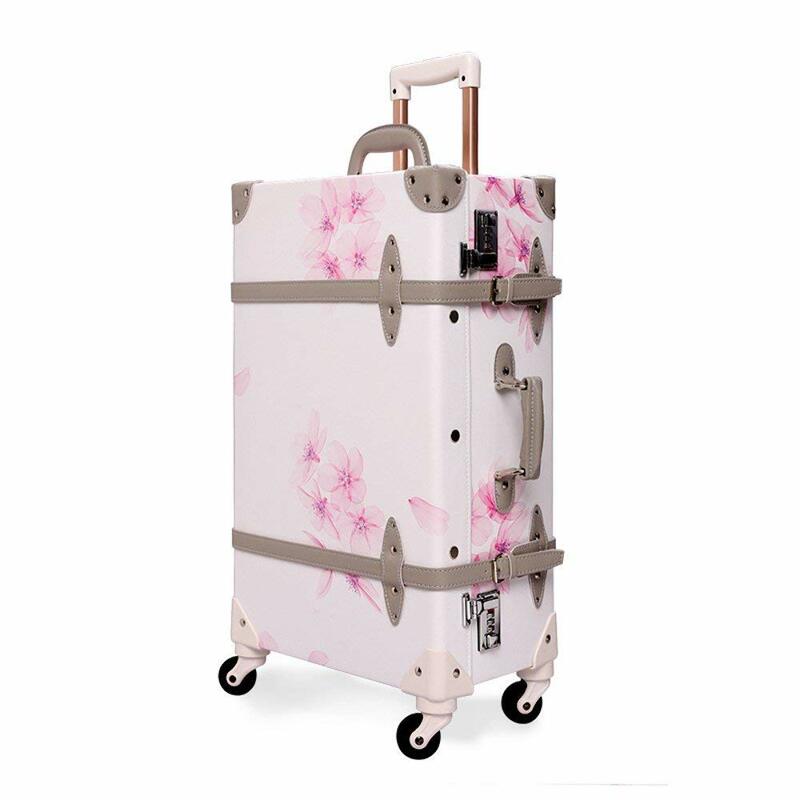 Available in three different sizes, the retro suitcase features 360-degree spinning wheels and a passcode lock to keeps your personal items safe. Bric’s has been crafting luxury Italian travel bags since 1952. 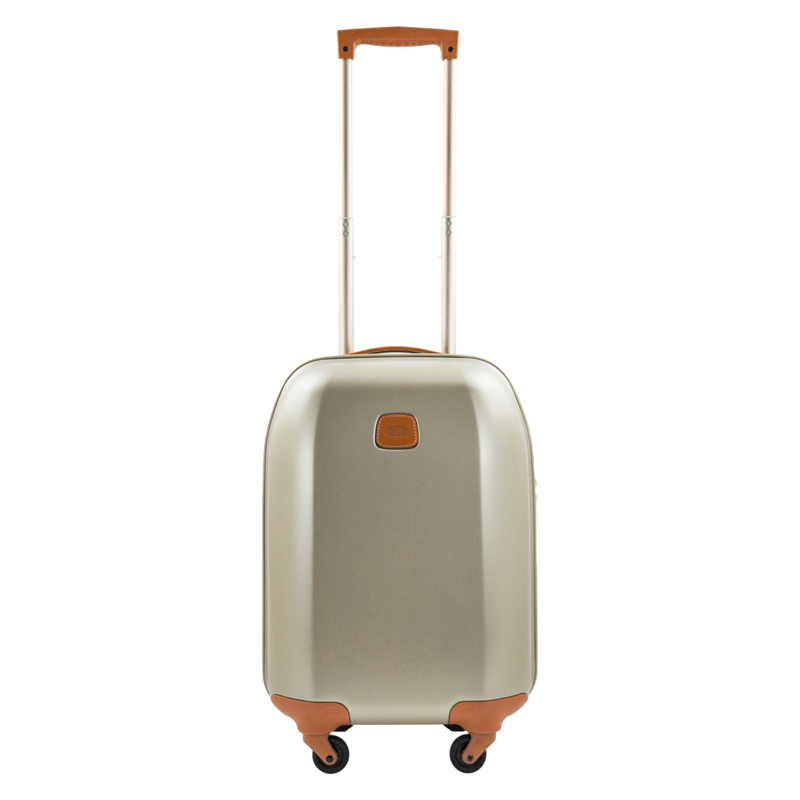 The quirky, modern take on the classic polycarbonate spinners make the carry-on easy to point out at baggage claim. 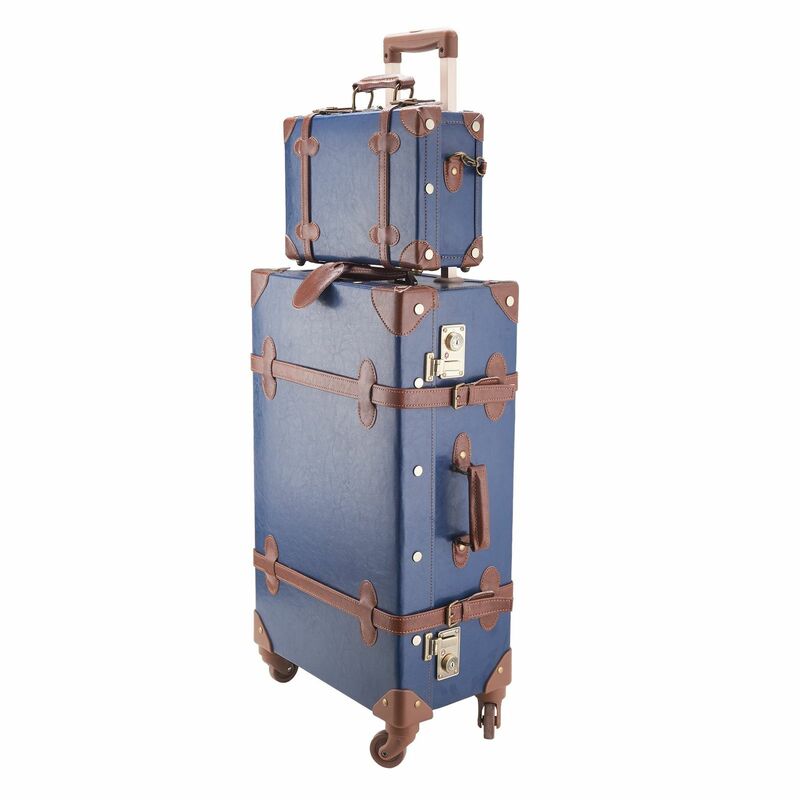 This classic luggage set is complete with a 24-inch spinner suitcase and a matching 12-inch handbag, both in a rich navy blue. 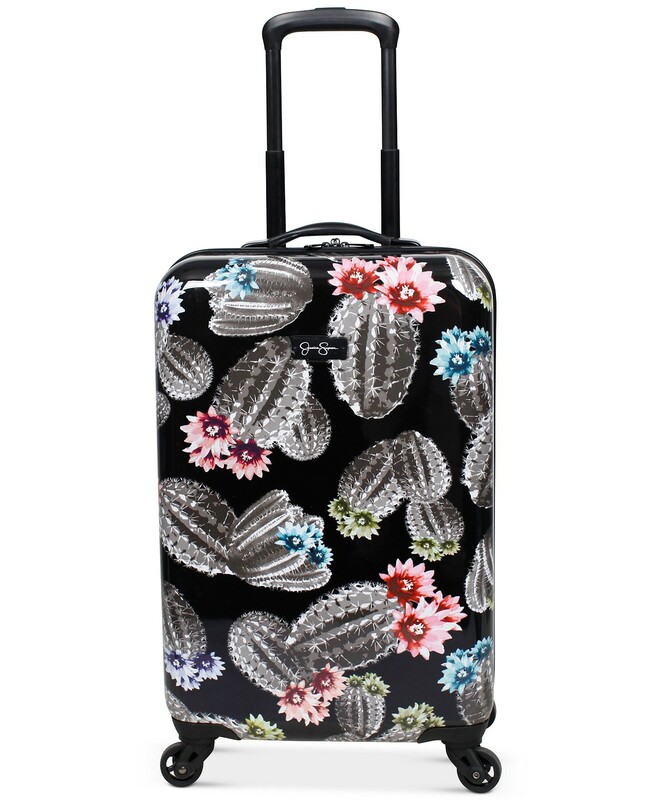 No one could have predicted that former singer Jessica Simpson would have so much success in the luggage market. Her bags are sturdy, modern, and chic — what more could you ask for? 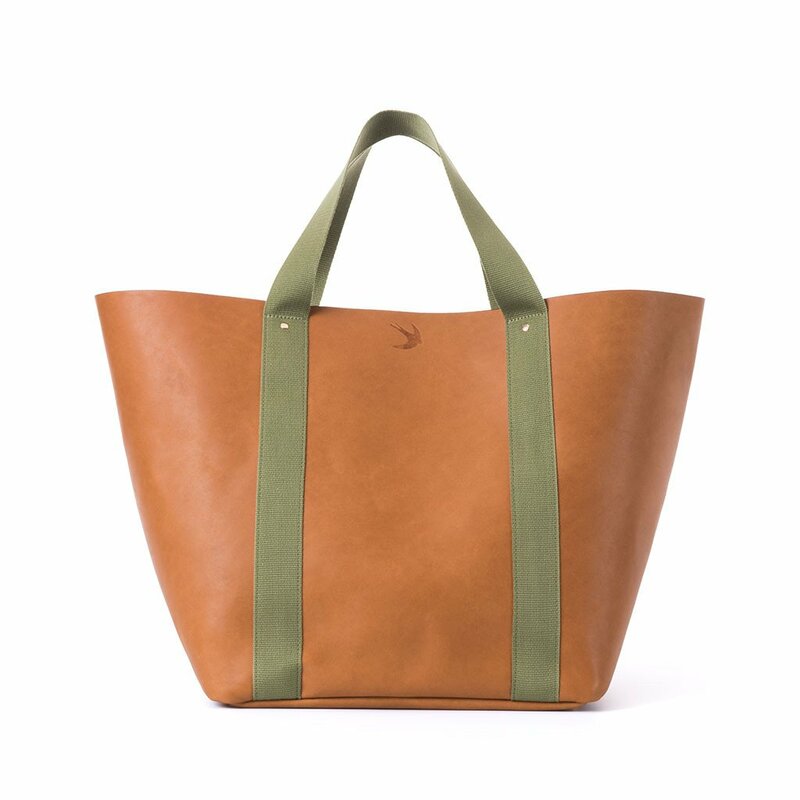 The sleek leather handle, removable shoulder strap, collapsible design, and spacious pockets make it worth the hefty price tag. 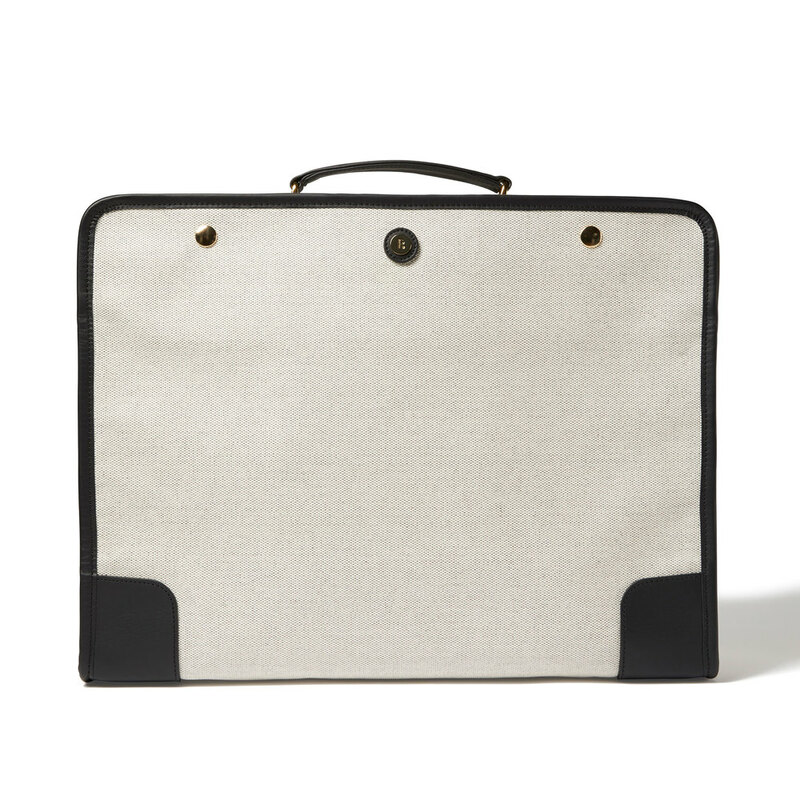 Feel like you’re sailing off to sea with the Editor Carry-On. The bag is accented with sea-green handles — open it up, and you’ll find Meryl Pardoen’s stunning hand-painted palm-leaf print. 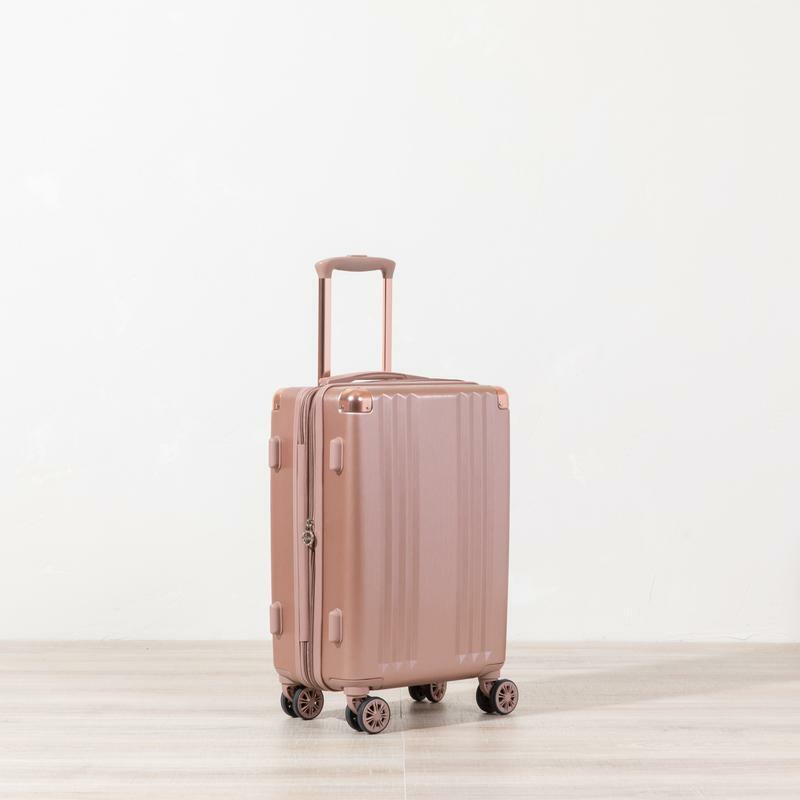 Impressively durable, extremely lightweight, and ready for the journey ahead, the carry-on includes a TSA-approved lock, fortified shell, and an expandable case, perfect for domestic or international air travel. A mix of elegance and ’90s posh, this bag is made of durable, protective leather to accompany any and every globetrotter.